The Yonex 9326 Pro 6 is a stylish racket bag that will hold 6 badminton rackets and has an integrated shoe compartment to store your trainers away from the rest of your gear. The side pockets are handy for keeping your valuables protected from larger items and your accessories more reachable when needed. The bag has two carry handles and the shoulder straps let you carry it as a rucksack to make life easier. 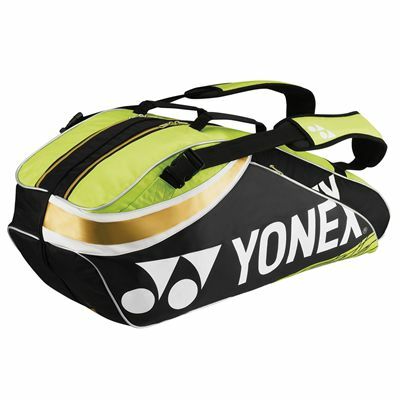 for submitting product review about Yonex 9326 Pro 6 Racket Bag.